TRENTON, N.J. (Bloomberg) -- Tesla Motors Inc. drew closer to resuming electric-car sales in New Jersey as a state Senate committee approved a rule to allow direct customer purchases. The bill was passed unanimously by the Assembly in June and on Monday by the Senate Commerce Committee. It goes to the full Senate and then to Republican Gov. 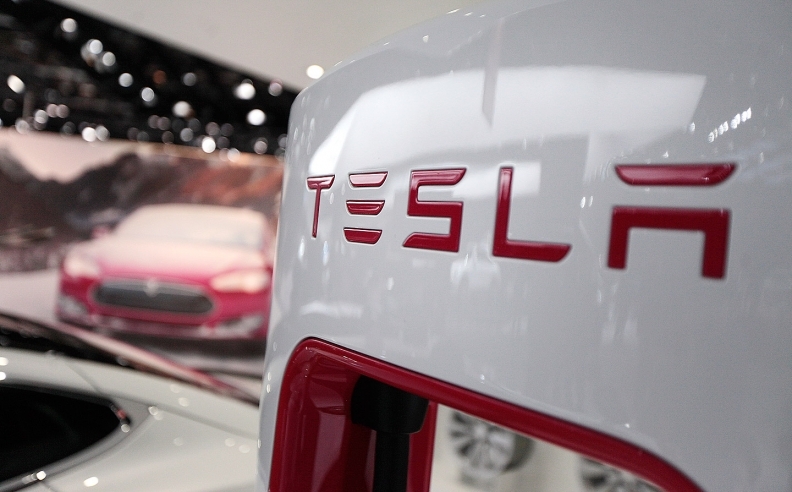 Chris Christie, who has said Tesla can operate in New Jersey as long as the sales are lawful. Tesla has been able to show the vehicles, though not sell them, in New Jersey since April 1, when the state Motor Vehicle Commission required the involvement of local dealers. That rule led Tesla founder Elon Musk to post a blog accusing Christie of protecting major manufacturers and discouraging innovation. Tesla has two “galleries” in Paramus and one in Short Hills. Would-be buyers are redirected to New York and other states. Michigan Gov. Rick Snyder in October signed legislation banning direct car purchases. Texas, Arizona and Virginia also have limited the Tesla sales model. Christie, during a town hall meeting in South River a year ago, said while he had “no problem” with Tesla’s presence in New Jersey, it needed legislation to lift the state’s direct- sales prohibition.